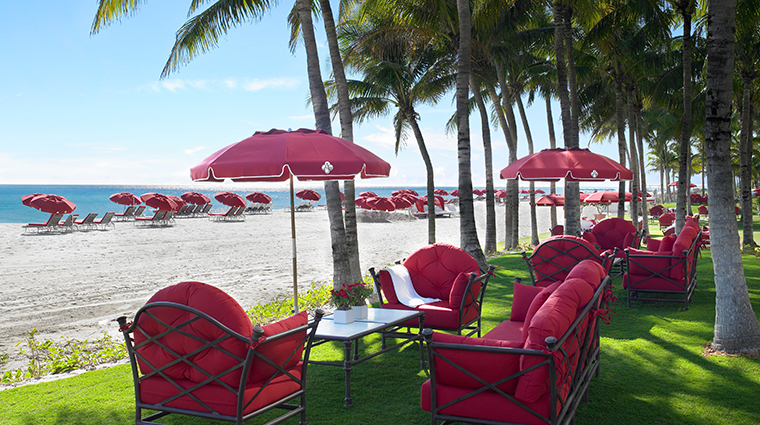 Acqualina Resort & Spa, about equidistant from both Miami and Fort Lauderdale, is a lovely beachside resort that offers a distinct European feel with its Mediterranean villa décor and terraces where you can soak in the ocean or Intracoastal views. All accommodations boast a full sitting room with sofa, and when complemented by a roomy bathroom with an oversized bathtub and a separate walk-in shower, you will have all the space you could ever need. 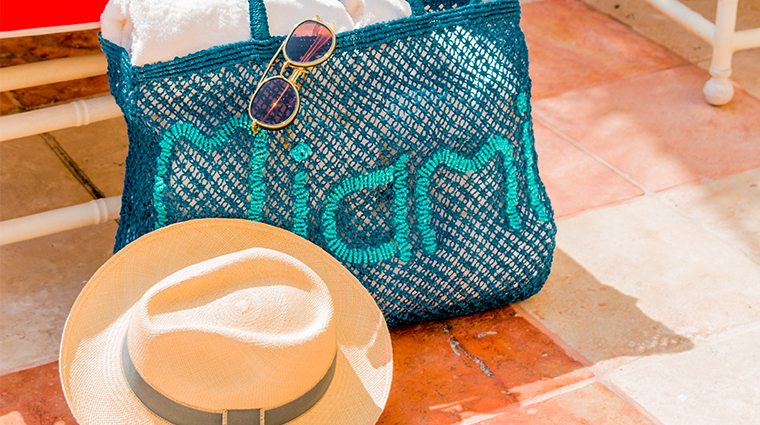 Its Sunny Isles location ensures that you will be closer to the beach than in most South Beach hotels (if not quite in the middle of bustling nightlife), with a less crowded and more serene seaside property decked out with bright red lounge chairs and umbrellas. It’s definitely a family-friendly getaway, for at the resort, you will discover a separate family pool and kids' club for the little ones to enjoy. 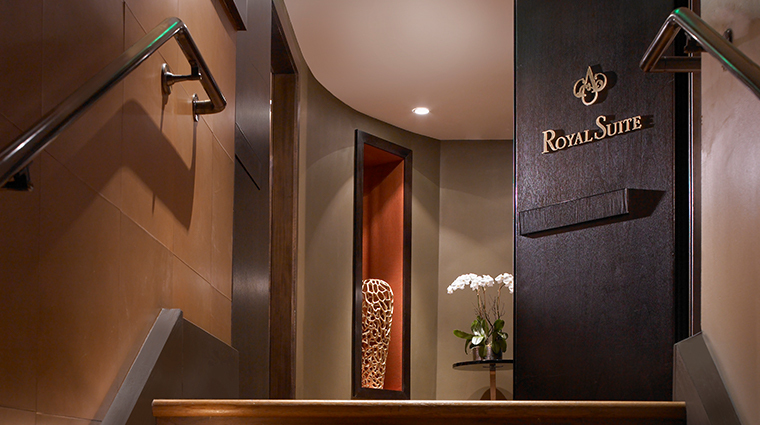 Service is top-notch at the hotel, and you’ll always be addressed by name and with a smile. We were amazed at just how quickly everyone — from our waiter at breakfast to the staffer who set up our pool chairs — remembered us by name after our first day. 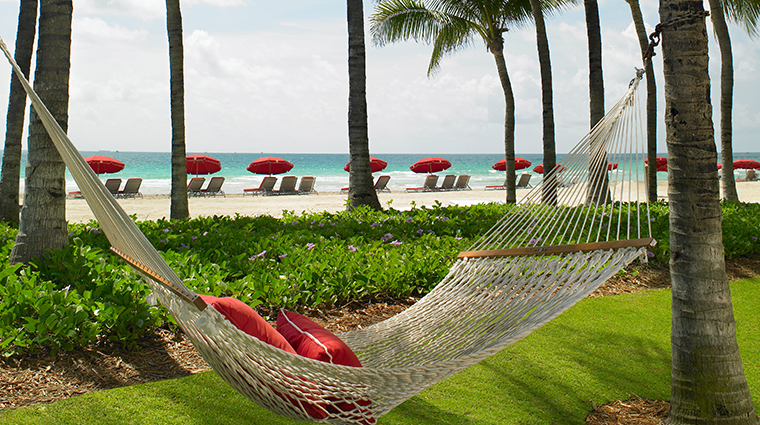 The secluded Acqualina Resort & Spa makes an excellent getaway for honeymooners and those seeking a bit of quiet and romance. It’s also great for families, thanks to a separate swimming pool where the kids can cannonball to their hearts’ content or take part in a marine biology-focused kids’ club. 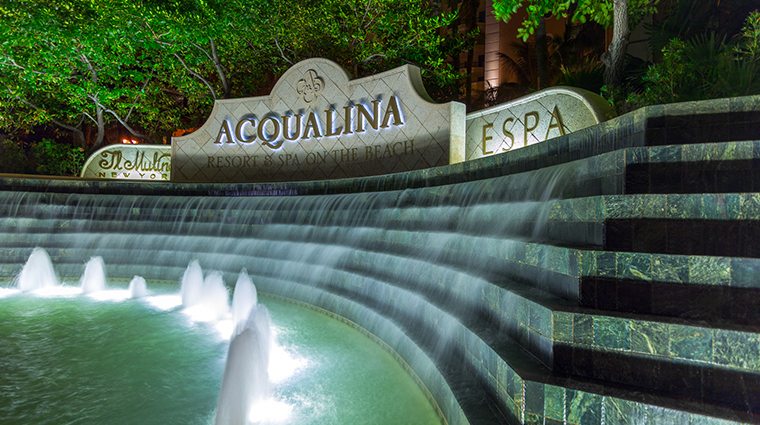 We love both the treatments available at Acqualina Spa by ESPA as well as the gorgeous wet areas (including a crystal steam room whose ceiling changes color), sauna, experience shower, outdoor pool and hot tub with Roman waterfall. 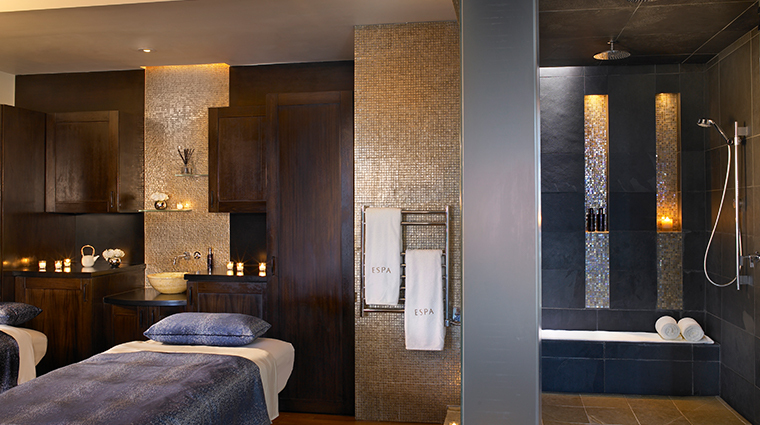 Best of all, you can use the facilities even if you’re not booking a spa treatment. 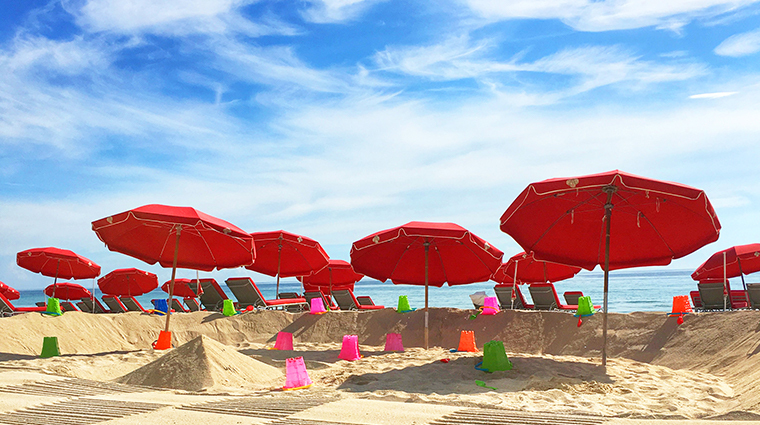 With bright red umbrellas and lounge chairs as well as cabanas available to rent, you’ll be able to relax just steps from the surf on the hotel’s private beach. Frolic along the sandy stretch and in the warm blue waters to see why they call this the Floridian Riviera. 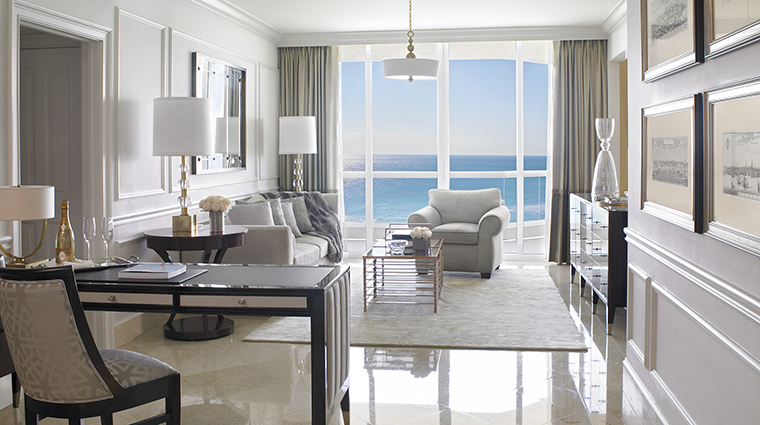 The brand-new 32nd-floor Grand Deluxe Three-Bedroom Oceanfront Suite is a 2,031-square-foot haven of natural light (thanks to the centerpiece floor-to-ceiling windows), open spaces and luxe extras, including hand-painted wallpaper, a 65-inch 4k TV, a full kitchen with Sub-Zero appliances and a Ralph Lauren Baxter metal shade chandelier in the dining room. Only hotel guests and Acqualina residents may use the hotel’s three main swimming pools and beach area or dine at the outdoor Costa Grill. The area is protected by a security guard who will ask for your room number and beach card pass — if he doesn’t recognize you first. 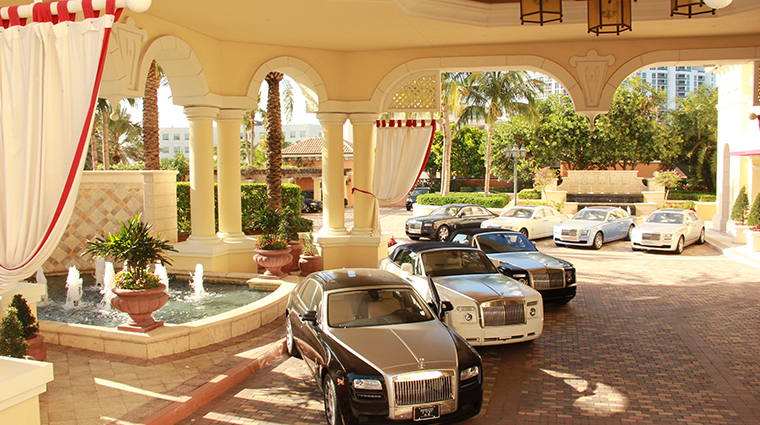 The luxury hotel is not close to the nightlife of South Beach; to reach the hottest restaurants, bars and clubs in that area, you’ll need to drive (around 20 minutes) or take a taxi. Keep in mind that traffic can get congested along Collins Avenue on weekend nights. 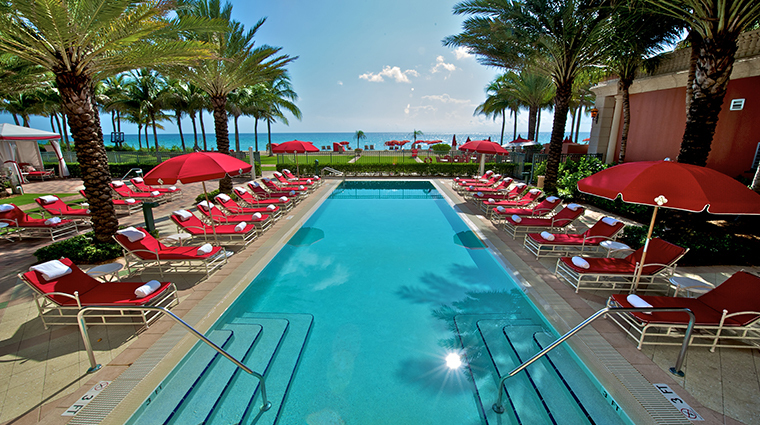 Acqualina Resort & Spa attracts a number of European guests and is family-friendly. While it’s also romantic in a number of ways, it’s probably not the place for groups of young friends to mingle by the pool and meet like-minded revelers. 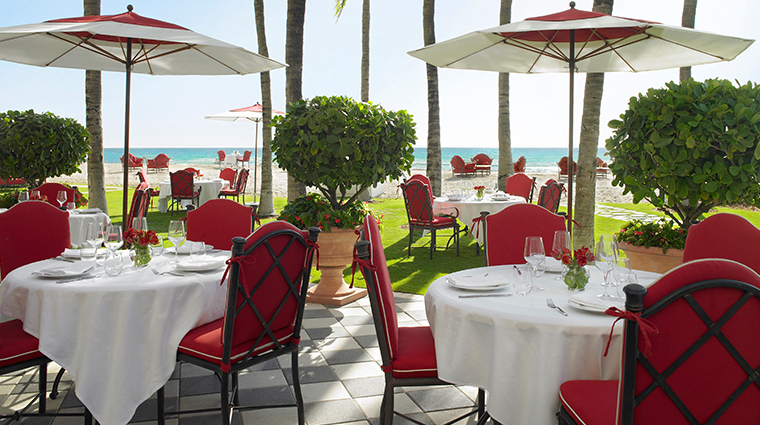 When it's time to eat, choices abound at Acqualina Resort & Spa. 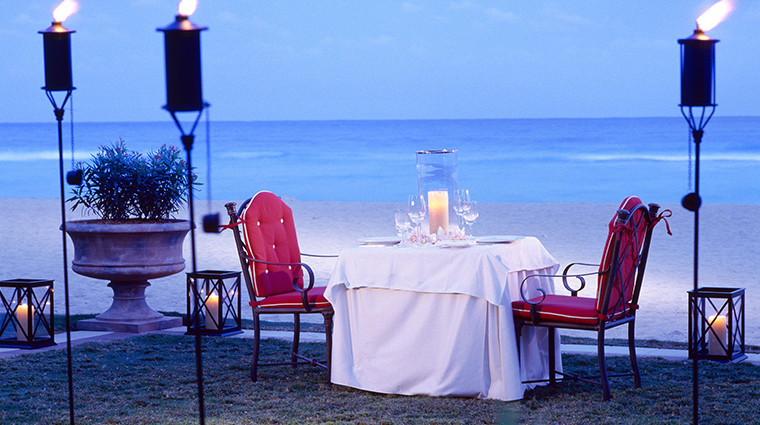 If you can’t break from the beach, have food from Costa Grill delivered to your cabana. 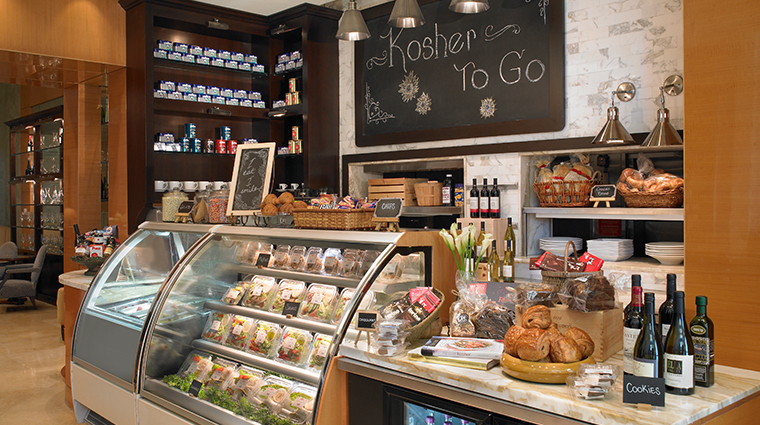 If you’re on the move, grab a quick bite from Kosher-To-Go or score a California roll from the nearby sushi and raw bar. 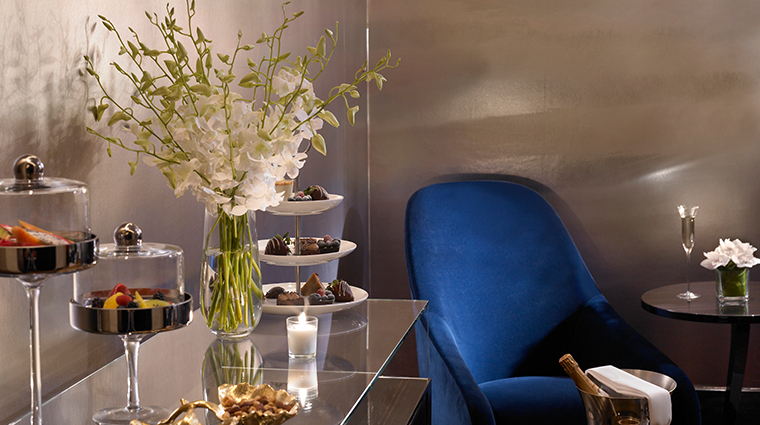 And, of course, Forbes Travel Guide Recommended Il Mulino New York is always a wise option for expertly executed Italian cuisine in a formal setting. In February 2018, the Sunny Isles Beach property introduced AQ Chop House by Il Mulino, a stylish steakhouse with Mediterranean influences. 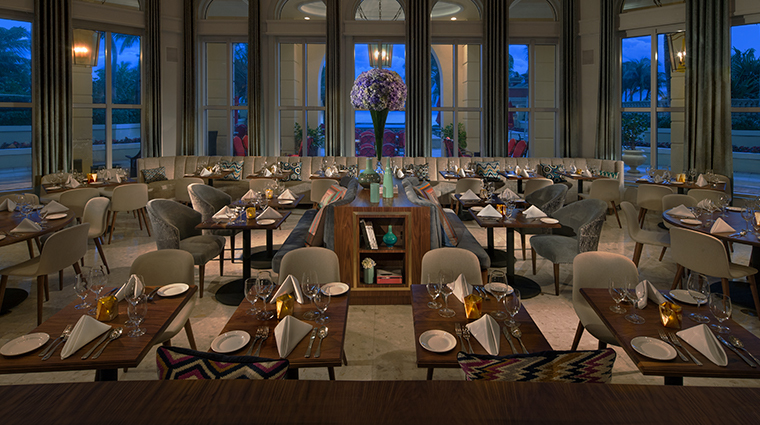 Expect a menu of flavorful dishes such as short rib ravioli, dry-aged meats and branzino crudo all served with a side of beachfront views and earthy hues. 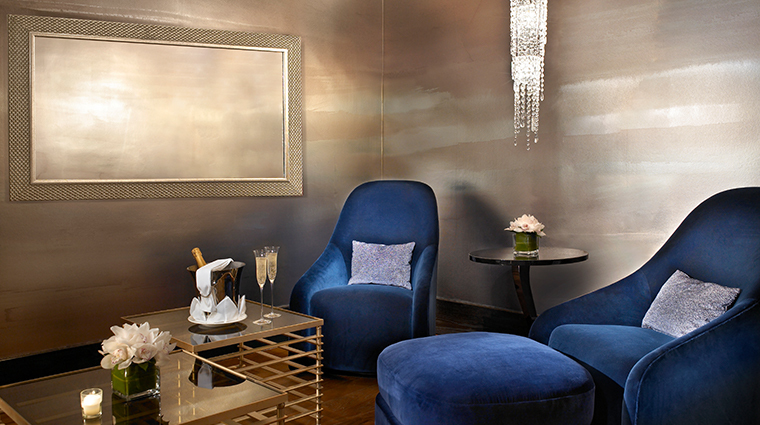 Adjacent to the brand-new steakhouse, you'll find a swanky tribute to Parisian jazz clubs of days past in AQ Bar. 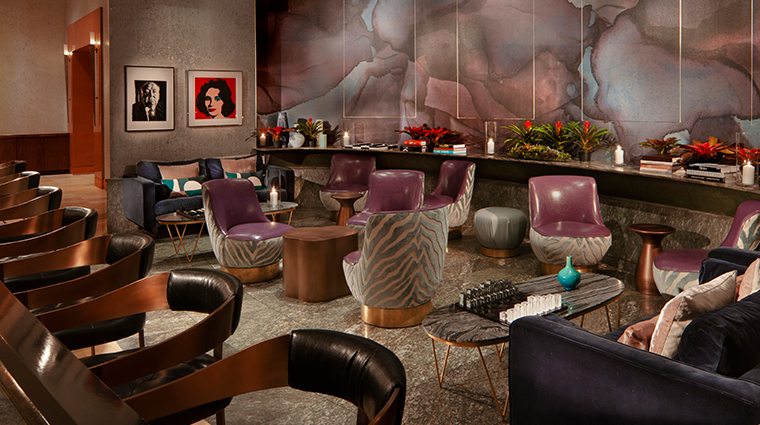 Snag a seat in one of the zebra-striped swivel chairs, play a game of chess or backgammon and sip on carefully crafted libations, such as Eternal Summer, a unique blend of vodka, mint, fresh watermelon juice, homemade jalapeño syrup and a twist of lime. 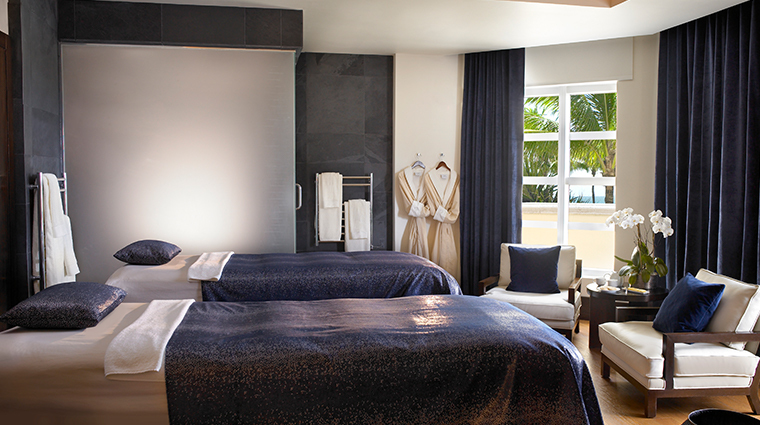 The guest rooms at Acqualina Resort & Spa are large, full of light and elegantly decorated. Fifth-floor rooms lack the views enjoyed on higher floors, but make up for it with sprawling terraces that come complete with an outdoor dining table and loungers. Even the lowest priced rooms are huge. 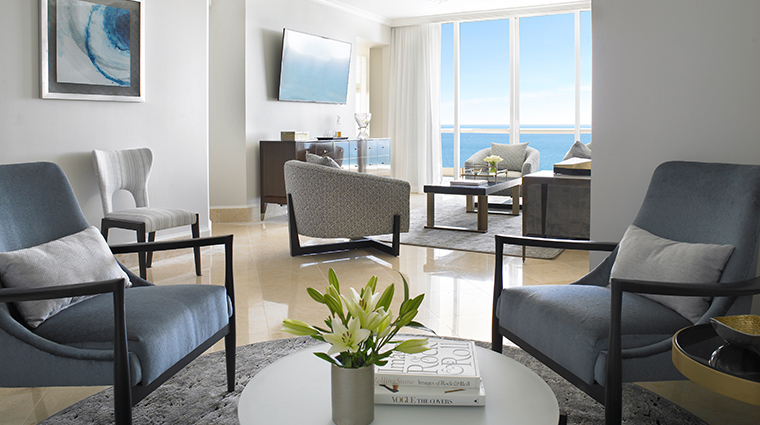 The Intracoastal Rooms are the standard accommodations at Acqualina Resort & Spa and would be billed as a junior suite anywhere else; you'll enjoy a full-sized living area, private balcony and extra-spacious bathroom with a Jacuzzi tub. Bathrooms have marble floors and double sinks, and the master bath in each suite also includes a bidet (there’s the European feel again). Each room include spa-inspired bath products from ESPA, massive Jacuzzi tubs, an electronic safe, iron and ironing board, shoe shine equipment, elegant stationery and postcards of the resort, two umbrellas in the hotel’s signature red, a well-stocked mini-bar and Italian-style espresso maker, and in some cases, specially designed couples' showers. 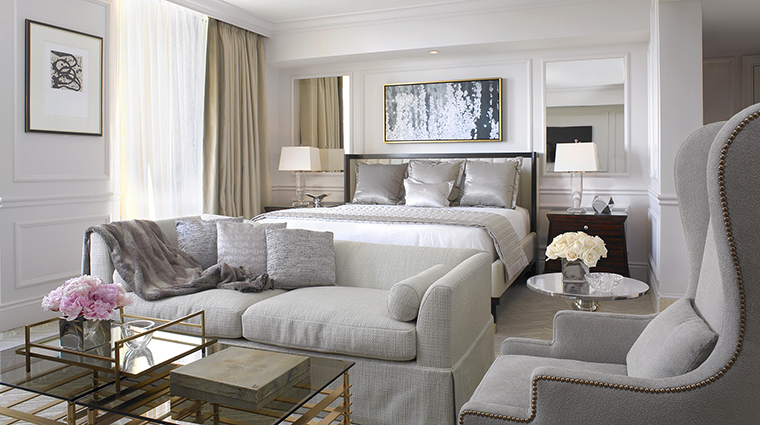 In the one-, two- and three-bedroom suites (including the brand-new ocean-facing Grand Deluxe Three-Bedroom Suite), the special amenities include a fully-stocked Sub-Zero refrigerator (the full bottles of wine are certainly a highlight). Open the freezer door and you’ll find a treat once you’ve unpacked: a little row of mini Häagen-Dazs ice cream tubs awaiting your dessert hour. The kids’ program, AcquaMarine, is Acqualina’s super-cool (and free) marine biology-based program keeps kids busy with activities that are both fun and educational. Kids learn all about the Coast Guard during a beach boot-camp relay and kayak rescue mission, experience what it’s like to be a lifeguard, learn the science behind waves and more while you get some time to enjoy the adults-only or spa. Go on a tropical field trip. Everglades National Park is about an hour drive from the resort — take an airboat tour through the nearby swamps and see the alligators. If you’d rather peek at marine life in an air-conditioned building, the Miami Seaquarium, which includes 38 acres of marine-life entertainment, is about 45 minutes from the resort.